Highlight Sports will be delivering one DVD per participant at the Dance America Nationals 2013. Some may have questions about the process. This post aims to explain the process and verify shipping information. Option 1: Participants can choose to do nothing. However, if your studio competes in more than 15 routines, Highlight Sports will not be able to add every dance to the “generic” DVD. We will randomly select up to 15 routines. Option 2: Highlight Sports has the ability to personalize DVDs for the participants. This service is FREE. However, participants must come to the Highlight Sports booth to complete the custom DVD ordering process. This process ensures that your dancers get the specific routines they want on their DVD. Dancers can also visit HighlightSports.com to order their custom DVD. Online ordering will begin within 5-7 business days post-event or earlier. Option 1: Generic DVDs and Customized DVDs can be shipped to the studio. This shipping process will begin the first week in June. We will ship to studios in alphabetical order. The studio owner will then distribute DVDs to each student. This shipping option is completely free. In order to ensure you receive your DVDs, you must come to the Highlight Sports booth to verify your studio or personal mailing address! Option 2: The “ship to home” option is only for participants who choose to personalize their DVD. The “ship to home” orders will begin 1-2 weeks post-event. The DVD is still free; however, this option has a $10 per order shipping and handling fee. Each participant is only allowed to order 1 FREE DVD. If they would like to order additional copies for family members or friends, they MUST come to the Highlight Sports booth, personalize their DVD, and add additional copies to their order. Additional copies are only $5. If, by chance, someone on your team orders multiple FREE DVDs by coming to the booth at different times, someone else on your team will NOT get a DVD. Highlight Sports has been given specific numbers regarding participants per studio and has allocated DVD distribution accordingly. Highlight Sports does not have a way to verify who has or hasn’t ordered a DVD at the event and thanks you all for your honesty. If you have additional questions, please come speak with us at the Highlight Sports booth or comment below. When should I expect my FREE DVD? When the DVD is shipped to my coach, how do I get it? Do I have to actually order the FREE DVD? Why can’t I find my pictures? What should I do if, when I go to my studio to look at pictures, other pictures are there that aren’t of my team? How much does the Free DVD really cost? If I have a business that would like to advertise on your Custom DVDs, how does that work? When will pictures and DVDS be online for ordering? Will I be able to watch my routines online before ordering? Does Highlight Sports film dance recitals? How much does a dance recital DVD cost? Does Highlight Sports do studio photography for dance studios and other sporting events? If you ordered the “Ship to Coach” option, we will begin processing and shipping those order starting on June 1st, 2013. The “Ship to Coach” orders are processed in alphabetical order by team (ie. Aspire, Elite, Studio, Zappos). 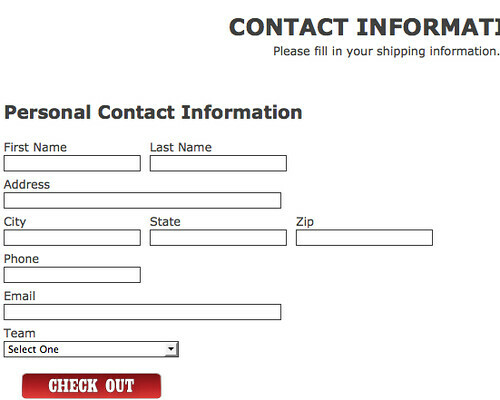 If you select the “Ship to Home” option, we will begin processing those orders in about a week or so. Those orders are processed in the order they were received. DVD’s will be shipped to your studio starting in June 2013. They will be shipped in one package or possibly two depending on the size of your studio. Your studio director will then be responsible to distribute them to team members. Some of the DVDs will be customized (specific routines selected, name on DVD, etc.). This is because these participants either order at the event or ordered online after the event and selected the “Ship to Coach” option. Some of your team members will get their DVD much earlier. This is because they selected the “Ship to Home” option. No, you don’t necessarily HAVE to do anything in order to get the FREE DVD. Each studio is allotted a specific number of DVDs based on how many participants the registered for the event. Those participants that don’t order their FREE DVD and customize it will get a generic copy. By “generic” we mean that we will pick up to 15 dances from your studio (not solos, duos, or trios) and put them on the DVD. If you want to have specific routines on your DVD, you WILL need to order it online. Not only can you pick the routines you want, but you can also have your child’s name printed on the DVD as part of the customization. They were accidentally put in another folder. To find them, check teams before and after your daughters routine. If you find the correct routine, please let us know and we’ll get it updated. We didn’t get pictures of that routine. Although we hate to admit this, at times we have technical difficulties and don’t get pictures of a routine. It doesn’t happen much but it does happen. If other pictures show up in your studio folder that aren’t of your team, please contact us so we can get it updated. The DVD is really Free. Highlight Sports does offer to ship the DVDs to your home directly for $10. We also sell pictures taken at the event and advertising space on a limited basis. Contact Nate at nate (at) highlightsports (dot) com. Space is limited. Online ordering will begin within 5-7 business days post-event or earlier. Yes, learn more about our dance recital videography services and prices. Our calendar has started filling up already so contact us today if you’re interested. artwork creation, and a few other factors. Fill out the dance recital application form and Nate will contact you. Yes, contact Nate for more details at nate (at) highlightsports (dot) com. Do you have questions that aren’t answered here? (May 3, 2012) Your Dance America Nationals Pictures & FREE DVD are now available to order! Watch the “How to Order” Video! Order your pictures & DVD today! (May 2, 2012) We are in the process now of adding all the information to the website regarding your FREE DVD. We are also adding all the pictures that were taken at the event. These products will be available to order within 3-4 business days from TODAY (May 2, 2012). Come back frequently for updates. Highlight Sports will be delivering one DVD per participant at the Dance America Nationals 2012. Some may have questions about the process. This post aims to explain the process and verify shipping information. Option 2: Highlight Sports has the ability to personalize DVDs for the participants. This service is FREE. However, participants must come to the Highlight Sports booth to complete the custom DVD ordering process. This process ensures that your dancers get the specific routines they want on their DVD. Dancers can also visit HighlightSports.com to order their custom DVD. Ordering will be open within 5-7 business days post-event or earlier. Option 1: Generic DVDs and Customized DVDs can be shipped to the studio. This shipping process will begin the first week in June. We will ship to studios in alphabetical order. The studio owner will then distribute DVDs to each student. This shipping option is completely free.In order to ensure you receive your DVDs, you must come to the Highlight Sports booth to verify your studio or personal mailing address! Want to print this off? CLICK HERE TO SAVE THE FILE and PRINT IT! Questions on How to Order? Watch this video first! The Free DVDs will be available to order online soon. You will have until May 29th, 2012 to order the customized DVD for FREE. After May 29th, we will begin shipping the FREE DVDs to the studio and the Free option will no longer be available. We will being uploading all the footage, including DVDs and Pictures, to our system on Monday, April 30th, 2012. Come back frequently for updates. Online Ordering Tutorial coming soon! How do I get my Free DVD? The DVD is free to you. How? Dance America and sponsors provide it. The DVD is automatically shipped to the Studio. You are able to add a Name on the DVD and Choose the Routines you want (up to 15). You will need to contact your studio director to pick up your DVD. If you don’t choose to include a Name on the DVD or pick the routines you’d like, you will receive a Generic DVD that has up to 15 routines that we select. There is a TIME FRAME: we start shipping to studio on June 6th so orders must be placed 1 week prior to this date (May 29th, 2012). 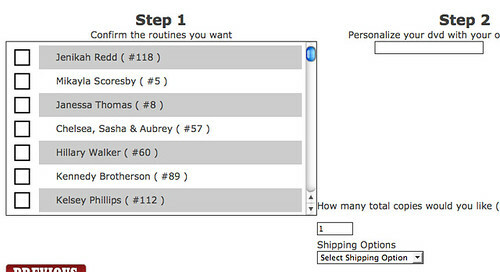 You are able to add a Name on the DVD and Choose the Routines (from your team) you want – up to 15. These DVDs will be processed and shipped starting the week after the event! The shipping charge is $10 and we start shipping May 4th, 2012. The first copy is free! If you wish to get additional copies for others (family members and friends) they are $5 each. Additional copies will be shipped with your free copy (either to home or studio). We really appreciate the time you’re willing to take to fill this form out and look forward to implementing your feedback. You can now order your Dance America Nationals 2011 Action Pictures and FREE DVD! The Free DVDs are still available. However, you will NOT be able to order them until around Friday of this coming week (May 6th, 2011). You will have until May 29th, 2011 to order the customized DVD for FREE. After May 29th, we will begin shipping the FREE DVDs to the studio and the Free option will no longer be available. We are in the process now of uploading all the footage, including DVDs and Pictures, to our system. Come back frequently for updates. There is a TIME FRAME: we start shipping to studio on June 6th so orders must be placed 1 week prior to this date (May 29th, 2011). These DVDs will be processed and shipped starting NEXT WEEK! 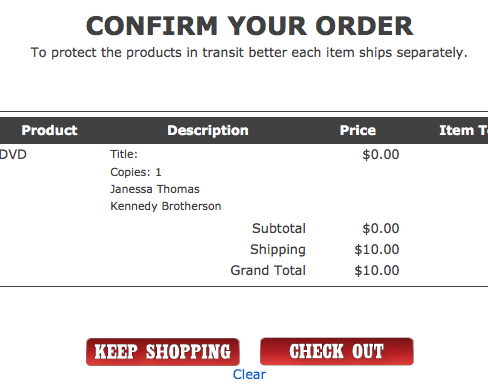 The shipping charge is $10 and we start shipping May 4th, 2011. We’ve had a few questions about the ordering process for the Dance America Nationals 2010 Competition at Juan Diego High School. You will be taken to a Pay Pal merchant account. You DON’T need to have a Pay Pal Account to check out. Simply enter in the appropriate billing information and you’ll be ready to go. If you have any further questions, let us know. Thanks for your business with HighlightSports.com. Hello studio directors, parents and participants of the Dance America Nationals 2010 held at Juan Diego High School. Thanks for all the positive feedback and support thus far. We really appreciate the communication. All DVDs ordered at the event with the “Ship To Home” option have been produced and shipped to the address you provided to us. All pictures and posters ordered at the event have been “Shipped to Home” too. We have started the “Ship to Coach” process as of last Saturday. This means the “Ship to Coach” Free DVD option is no longer available. You can still “customize” your DVD with up to 10 routines from you studio, but these DVDs will only have the “Ship to Home” option, which costs $10. If you didn’t get a chance to customize your DVD and don’t want the “Ship to Home” option, you will STILL get a FREE DVD from the event which will include up to 10 routines from your studio. If your studio has more than 10 routines, Highlight Sports will pick 10 routines at random (not solos or duets) to put on the DVD. These DVDs will be shipped to your studio and will be distributed by your coaches. Our goal is to have all of these orders processed, packaged, and shipped ASAP. It will be the responsibility of you and your studio directors to get your FREE DVD if it is “shipped to coach”. Pictures, Posters, and other specialty orders are always “Ship to Home” and are shipped separately. If you have further questions about the ordering process, the FREE DVD options, or about dance recital videography and studio photography, email Nate today! Thanks again for your support! We look forward to working with you again in the future! The Dance America Nationals 2010 DVDs and Pictures are ready! Ordering Free DVDs: We hope to have the DVD footage and all the pictures (over 24,0000) uploaded and ready for purchase BY this Wednesday, if not sooner! The Free DVD option will be available to order online until May 17th, 2010. You will be able to customize your Free DVD on the online ordering process. Thanks for the great weekend at Juan Diego High School in Draper, UT. We really enjoyed the event and were excited for each of you and the success you had. Thanks to Jen Haycock, Kevin Heath, and team too for all they did in running a great event.